Why give a friend a gift of teas or olive oils when instead you can give them their own olive tree or tea garden? 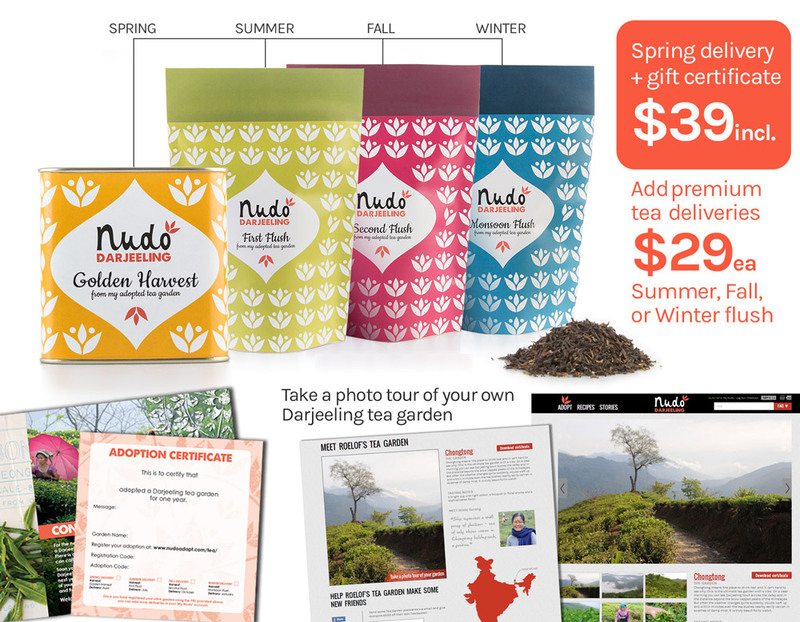 This is the concept of Nudo: you can adopt a tree or garden and receive a seasonal selection from your own adoptee. I’ve written about Nudo in the past and have loved checking up on the company. (I mean, how cool would it be to tell your friends the story of the exact tree your oil is from?) This holiday season, they’ve expanded their olive tree selection and added Darjeeling Tea Gardens. I had the pleasure of sampling their new Sicilian Feudo Giulfo single-estate extra-virgin olive oil as well as their Darjeeling Tea, and oh my gosh you guys, the stuff is good. The olive oil is spicy, fruity, and so good on its own with a bit of bread. The Golden Harvest tea was indeed golden in color and tasted like the ultimate cup of tea. This is the stuff tea parties are made of. D: This sounds like the PERFECT gift for a friend of mine! Or two, or three, or four! I would keep this for myself! Shhhh! This is such an awesome idea!!! 🙂 I loveeeee tea!! The tea would be added to my collection, which I happily share with any guests that come over. Such a unique gift, I love this, I would give it to my father because he loves tea ! I might give it to my mother-in-law! I would keep this for myself but, yay tea! I might share some… But mostly it would be just for me! Love the idea behind it too! I would definitely give this to my wife. She’s the tea drinker in the family.